A host of print literary journals have either ceased publication or turned online because of dominance of digital media and lack of subscription, funds, sponsors or readers. Resultantly, print journals are hardly launched nowadays. Notwithstanding we have been releasing print issue relentlessly but don’t know for how many years we will be able to pull it on. Besides high cost of publishing and printing we have to afford the cost of running its website as well. Shipping cost is another problem that we face with the print journal. Because of high shipping charge we are unable to provide free hard copy to its overseas contributors. 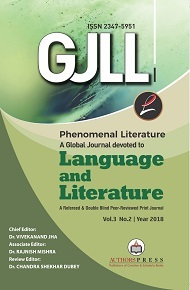 In view of above it is requested to support this journal by donation so that the journal’s wheel remained set in motion and every contributor, at least, should continue to get the hard copy of the issue in which he/she features.